Introducing the newest addition to our collection of mirrored furniture coming straight from the Siena Mirrored Collection, this beautiful Siena Mirrored Table Lamp. Complete with a mirrored exterior this table lamp will perfectly reflect your current interior. 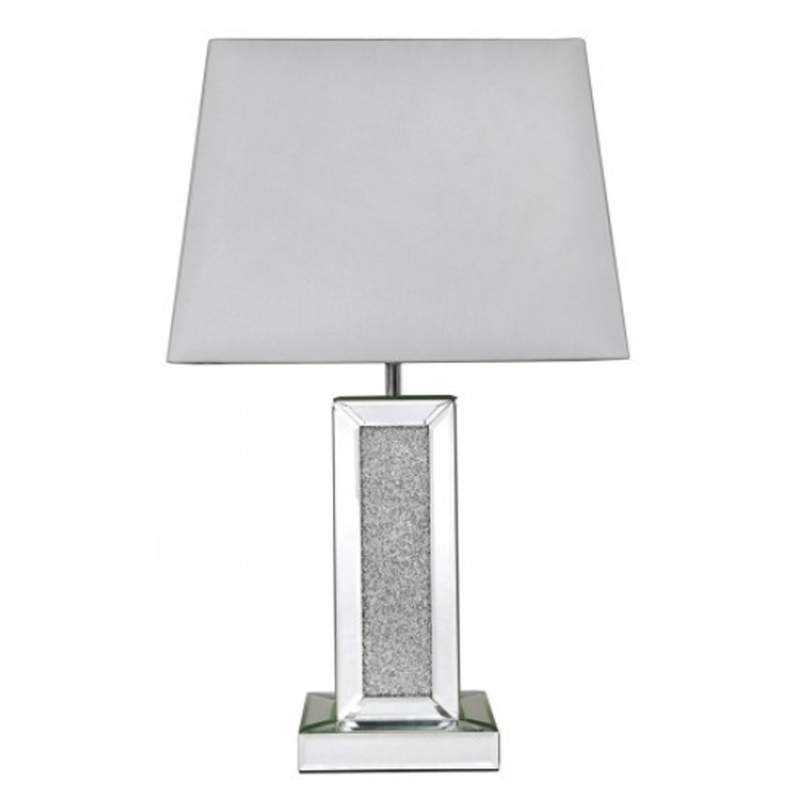 Also featuring a crushed diamond design this table lamp will bring your room to life. Complete with a pure white shade, this lamp can be used all year round and be a focal point in any room.